Given the history of this island anything else than the British kind of roadsigns would have been a surprise. 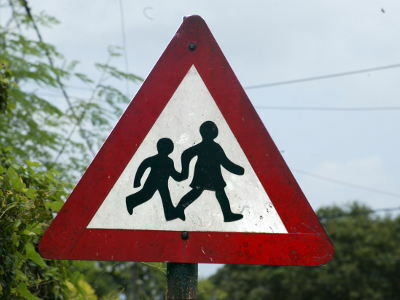 The Children's signs belong to the UK-group of signs where a girl drags a boy — See Great Britain. (Now, that was easy. Just had to copy/paste from Anguilla).